Thomas R. Neudahl, CFI | Investigative & Loss Control Services, Inc.
Mr. Neudahl began his fire service career with the Gladston Fire Department, attaining the rank of Captain in 1988. 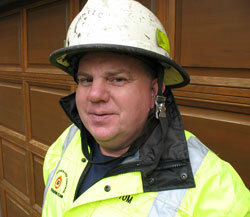 He joined the City of Excelsior, Minnesota, serving as the city’s Fire Marshal through 1992. Mr. Neudahl was appointed Deputy State Fire Marshal for the Minnesota Department of Public Safety in 1992, serving as the Chief Investigator on fire occurrences for fire and police agencies within his assigned jurisdiction. He also was n instructor for the department, providing educational seminars dealing with arson for law enforcement agencies. Mr. Neudahl joined Investigative & Loss Control Services, Inc. in May of 2002, serving as a Senior consulting Fire Investigator. He continues as a lead Fire Investigator on major fire loss investigations throughout the country. Lakewood Community College: Reserve Police Officer Training. Certified Fire Investigator: International Association of Arson Investigators. Minnesota Bureau of criminal Apprehension: Course study on Fire Investigation, Arson, Interviewing, Evidence Collection, etc. Certified Hazardous Materials Technician: Anoka Hennepin Vo-Tech. 1997. Continuing Education: Attendance at yearly seminars sponsored by organizations such as the National Fire Protection Association, International Association of Arson Investigators and the Minnesota Chapter of the International Association of Arson Investigators.